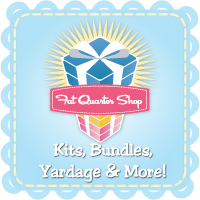 I have been working very hard on a slew of new patterns! However, I will be keeping them all under-wraps, until every last one is completed and ready to be shared (probably in the next month or so). 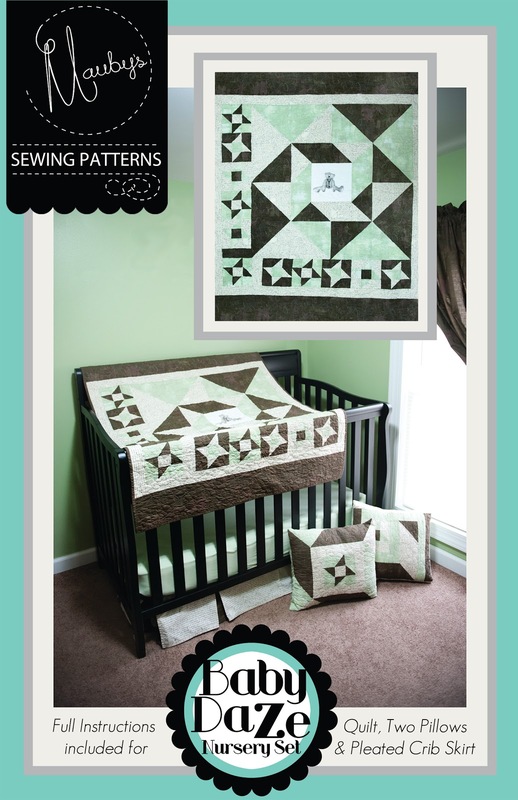 An exception had to be made for one of the new patterns because the design is based off of a nursery set I designed and then made for my sister. She is having her first baby any day now!! Of course she wants to share pictures with everyone of her now finished nursery and since I will be publishing the nursery set in a pattern I asked her not to post any pictures until I revealed the pattern. A three part nursery set. 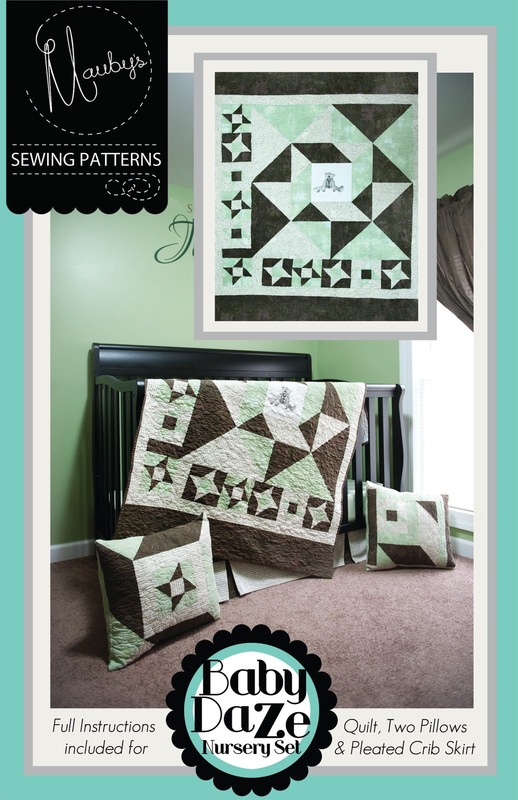 Pattern includes step by step instructions for a quilt, an adorable pleated crib skirt (in two lengths, because who wants to ditch the skirt when you drop the crib?) and two matching pillow covers! I seem to have run into a dilemma, I cannot decide which cover I like better. The first picture or this next picture. So, which one do you prefer? Leave me a comment to tell me which one or just vote in the box to the right. P.S. I have a variation of this same quilt for adults that I will release soon as well. It is really fabulous! I've already made two of the adult versions and two of the baby versions. I like the first one better. Congrats on the new pattern, this is a really cute set! If you want to do the second one. I can get the J out of the background for you. It looks beautiful, Aubrey! I like cover #2 best, altho I can see why it's a tough decision. I think the second photo is better than first. Hi - I like option B the best! Id vote option 2 as well:) looks great!